The second picture looks like a headless birdie. I guess the body was hiding behind your hand? Do U tag and release the birdies? 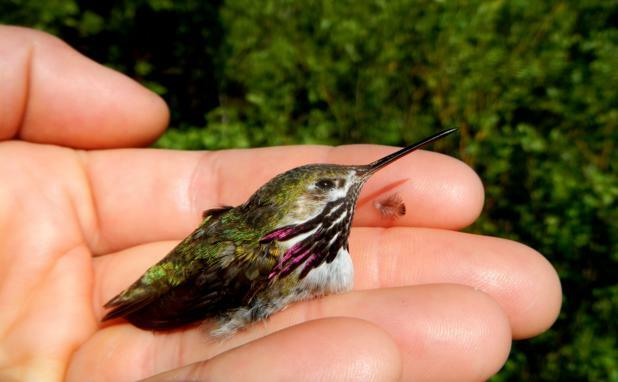 Ha, yeah, the hummingbird’s body was turned, so this is a shot from the front. Don’t worry, the rest of his body IS there, I promise! About a second after I snapped this picture he flew away, safe and sound. 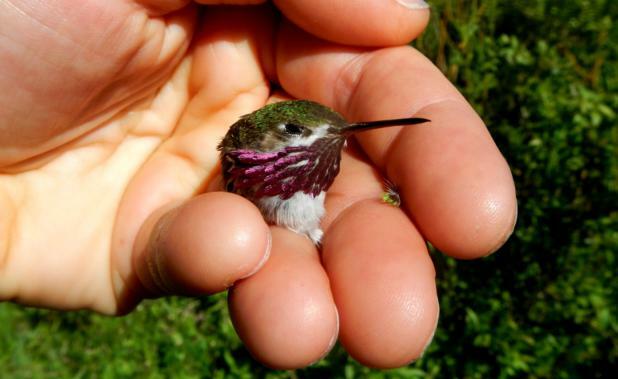 We do band and release most of the birds we catch, but not hummingbirds because their legs are so tiny and we don’t have bands small enough! When we do catch them we just let them go right away.